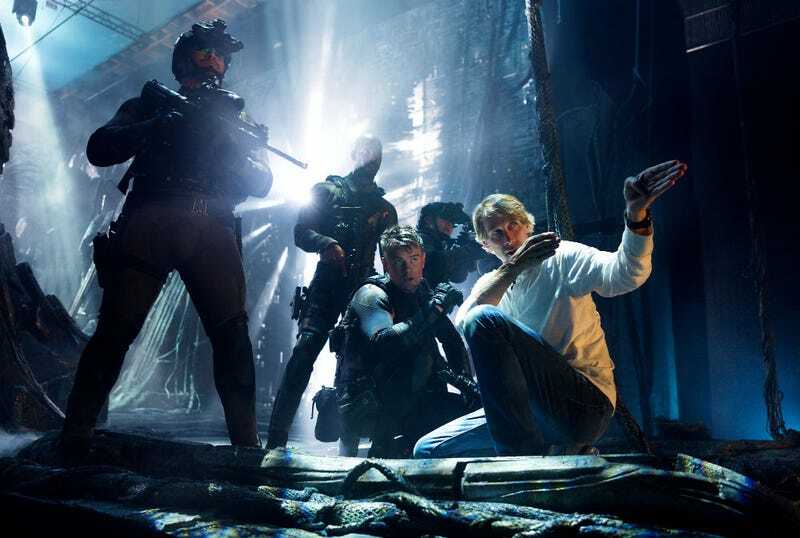 Michael Bay and his soldiers on the set of Transformers: The Last Knight. All Images: Paramount. The first trailer for Transformers: The Last Knight drops Monday evening and though it’s definitely the fifth film in the popular franchise, it’s more of a beginning than an end. After the fourth film, Paramount hired a team of writers to develop ideas for future films and while on the set of the film in August, producer Lorenzo DiBonaventua provided updates on everything in the works. Below, we break down what the plan for the Transformers franchise is after The Last Knight, which opens June 23. Tonight, you can watch the trailer, and Tuesday, come back to read about the insanity we experienced on the explosion-filled set of Transformers: The Last Knight back in August. During production of The Last Knight, DiBonaventura explained there were already outlines for the next two sequels. However, he didn’t want to have people work on scripts until they knew what this fifth film would be. Now that filming is complete, though, things are sure to move forward soon. There’s also a Bumblebee standalone film coming, currently being written by writer Christian Hodson. According to DiBonaventura, it may not even have other Transformers in it. There’s also an animated film set on Cybertron that’s currently being written. And though it’s not exactly a prequel to the five Transformers films, DiBonaventura did say it would fit in. Things won’t end there for the Transformers. More spin-off movies are in the works, and they could be very surprising. They don’t even, necessarily, have to be in the same present time period. Finally, as Paramount tries to build out the Transformers shared universe, the question inevitably becomes, will they cross paths with Hasbro’s other toy franchises, such as M.A.S.K. or G.I. Joe? The producer doesn’t think so. So don’t hold your breath for the G.I. Joe/Transformers crossover. But come back Monday night for the first trailer for The Last Knight, and then Tuesday morning to read all about what that film is going to be... and a ton of crazy Michael Bay explosions.